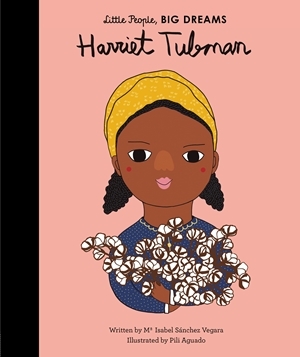 Little Harriet was born into slavery on a plantation in Maryland. Though life was hard, Harriet persisted. She used all of her strength and bravery to escape slavery and journey north on the Underground Railroad. Harriet made the dangerous mission back to the South many times, fighting her whole life to bring others with her to freedom. This moving book features stylish and quirky illustrations and extra facts at the back, including a biographical timeline with historical photos and a detailed profile of the abolitionist’s life.